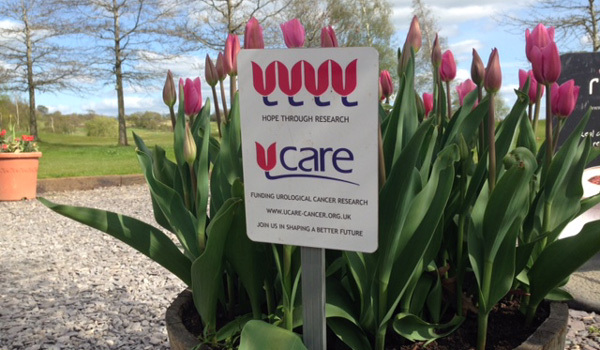 At UCARE we have always thought that the U in our logo looked very much like a tulip, as well as having a biological significance. 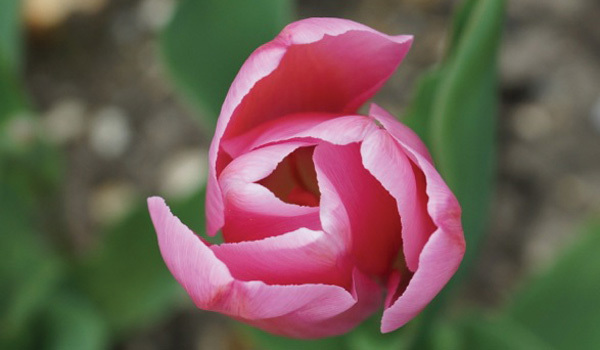 The Trustees all agreed that it was a wonderful idea to have a special tulip of our very own, that hopefully would in time become synonymous with the name of the charity. 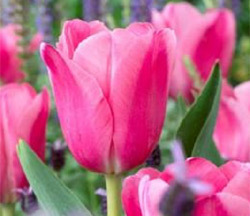 The tulip would also offer us the opportunity to have something unique to market and communicate with, while also raising money for funding research and raising awareness of urological cancers. 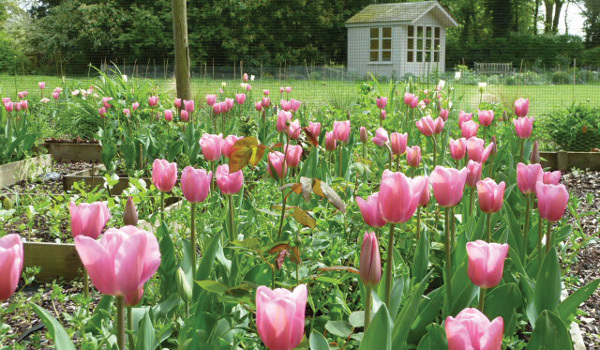 This dream was fulfilled by the vision of an anonymous bulb grower in Holland and the kindness of Jane Henman and Lord Taylor of Taylor’s Bulbs. 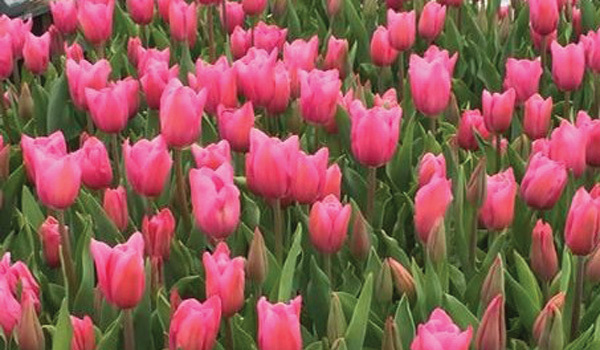 The tulip bulb was named by a successful bidder at a gala dinner and auction in 2013 and is now officially named Tulipa Ucaresse (Caresse). As we saw this new tall stemmed pink beauty grow in the first season we could not have been more delighted or proud, they were simply perfect and exceeded all of our expectations. 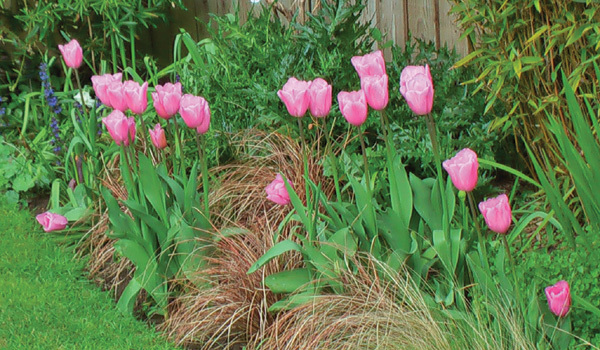 We have been very fortunate to have had the tulips used in UCARE gardens at the RHS Malvern Spring Festival in both 2015 and 2016 and they have been featured both on BBCs Gardeners World and in several garden magazines. We also sell them to the public and have had marvellous feedback, with many of our customers proudly sending photographs of their tulips for us to use on our media pages. A number of people have told us they have bought them to remember loved ones in such a beautiful way each spring. 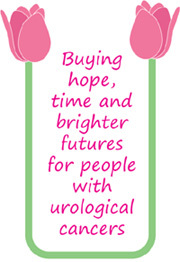 When people buy Caresse they are not just enhancing their gardens, they are also buying a symbol of hope and a brighter future in the fight against urological cancers. 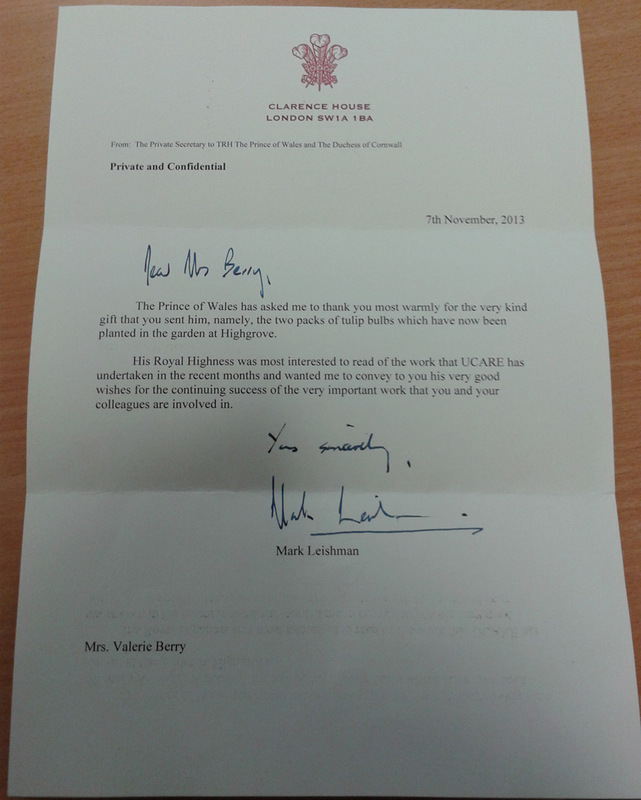 If you would like to see more details of our gardens at RHS Malvern or our tulip artwork projects please find them here. 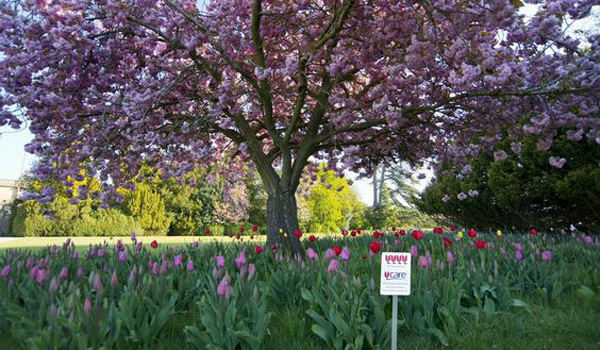 UCARE has donated 500 bulbs to Brideswell Gardens - a mental health recovery service in Witney. 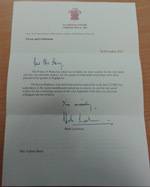 Read more on the Brideswell website.